Offering total relaxation, our Deluxe Rooms feature comfortable, contemporary sitting and sleeping areas. Boasting native Balinese touches and natural accents, they reflect the local surroundings and maintain a tropical edge. 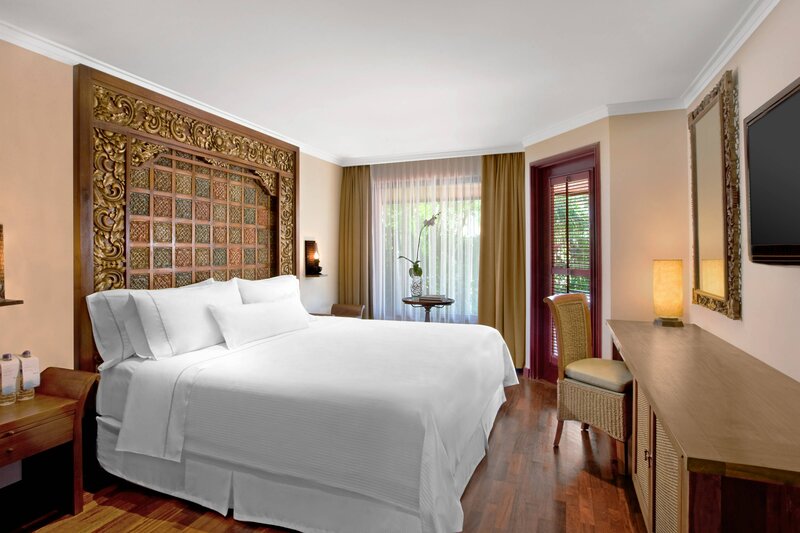 Simple and uncluttered, each room is finished in soothing earth tones and unique Indonesian Batik décor. Select rooms have a connecting door, which allows you to expand into an extra room if desired. 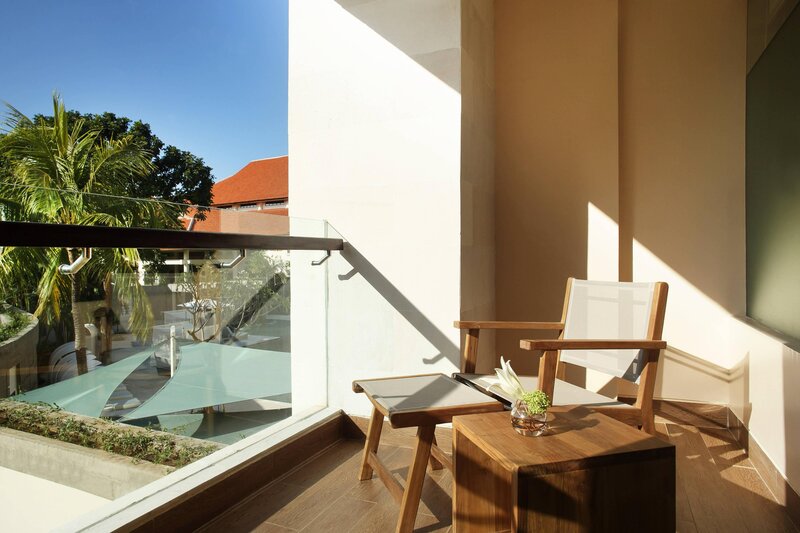 Or choose a terrace room, which features outdoor space furnished with lounge chairs and provides easy access to our pool and lush tropical garden. All other rooms include a small standing balcony with either garden or pool views. Rejuvenate after an adventurous day in irresistible Heavenly® Beds. Rooms come with either two double beds or one king-sized bed. A dual walk-in wardrobe, meanwhile, ensures ample space for personal effects. Spacious bathrooms are appointed with an inviting bathtub, separate shower, and refreshing signature bath amenities—plus a dressing table and large vanity counter. An over- sized window floods the room with soft natural light. Indulge in our luxurious Ocean View Suites. Boasting unparalleled beach views, just steps from the Indian Ocean and resort pool, each of these suites is named for and reflects unique designs from one of six Balinese regions: Karangasem, Bangli, Klungkung, Panglipuran, Celuk, and Tenganan.